Oh my goodness, what an entrance this little lady made into this world! 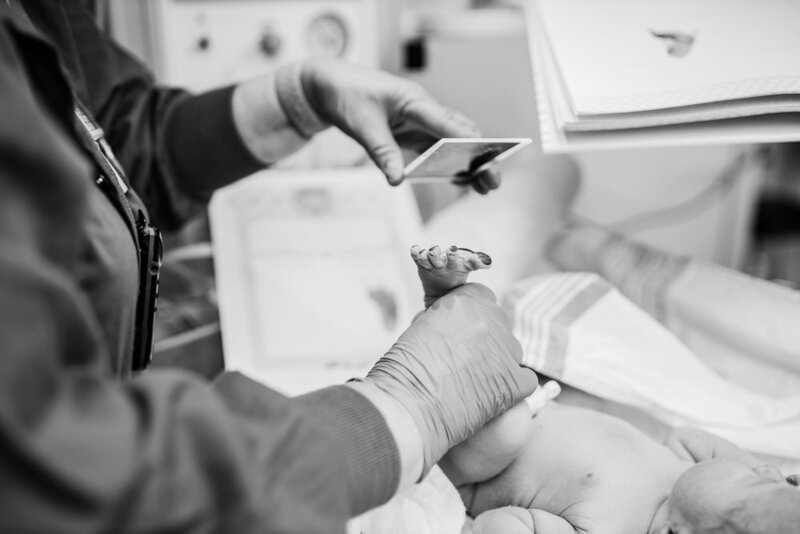 Her mama was hands-down one of the strongest ones I’ve ever come across — she went into labor on her own, labored until she hit 10cm, pushed for nearly an hour (sans any drugs! #beast) and her little lady wasn’t liking pushing or the contractions…as her heart rate kept dipping. So an epidural was given…to see if that would help her tolerate contractions and pushing some more. Welp, after another 30 minutes of pushes once the epidural kicked in, baby girl really didn’t like that and off to the OR we went! Maggie and Steve handled this major change to their birth plan so incredibly well and safely welcomed little Amilia into the world via c-section. I was so thrilled I was able to be there to capture their whole story for them! I hope you enjoy this birth story…man I sure did capturing it!